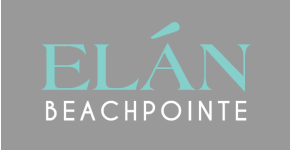 Elan Beachpointe Apartment Homes for rent in Carlsbad, CA is a beautiful coastal community that offers the charm of a European village coupled with easy access to miles of beaches and parks perfect for walking, jogging, cycling, and just enjoying the beautiful picturesque beaches. Our residents enjoy world-class resorts and spas, sandy beaches, and picture perfect Pacific sunsets. The community offers unique floor plans in junior one bedroom, one bedroom loft, and two bedroom apartment home with fully equipped kitchens, designer ceiling fans, floor to ceiling mirrored closet doors, vaulted ceilings, skylights, assigned garage or carport parking, personal patio or balcony, sparkling pool with BBQ and open area for entertaining, on-site laundry facility, and friendly on-site staff with full-time emergency Maintenance to meet all your maintenance needs. Elan Beachpointe welcomes cats and dogs; please see our pet policy as some restrictions may apply. Come and experience the unique qualities that provide you with a relaxed seaside village and a lively modern coastal city. Perfectly situated between the glamour of Los Angeles and the laid-back lifestyle of San Diego, your possibilities for fun, flair, and thrills are endless. Enjoy major retail shopping and dining at the Carlsbad Premium Outlets, take a ride to Carlsbad State Beach, or visit one of the many lagoons: Batiquitos, Agua Hedionda, and Buena Vista. The good life awaits you at Elan Beachpointe where coastal living is an everyday vacation!